Tonight’s photo is of another delicious dinner that Mariko prepared for us. 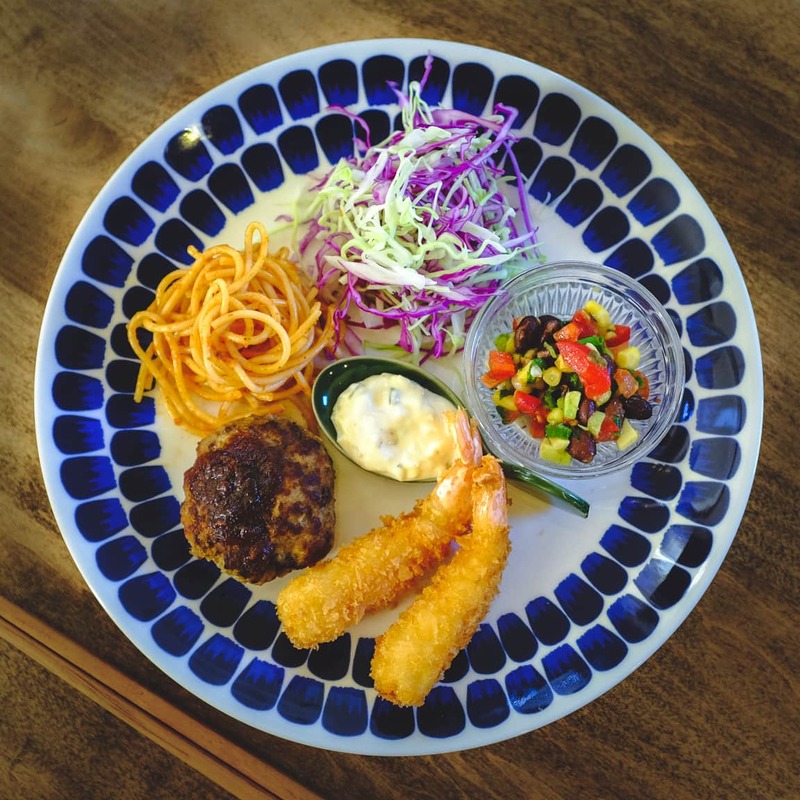 It’s a Japanese style meal, with ebi-furai (breaded and fried shrimp), hamburg-steak, noodles, and some salsa. It’s very eclectic I guess! But soooo yummy!